Simplifies Wi-Fi Planning, Installs & Management for A/V Pros in Settings to 7,500 Sq. 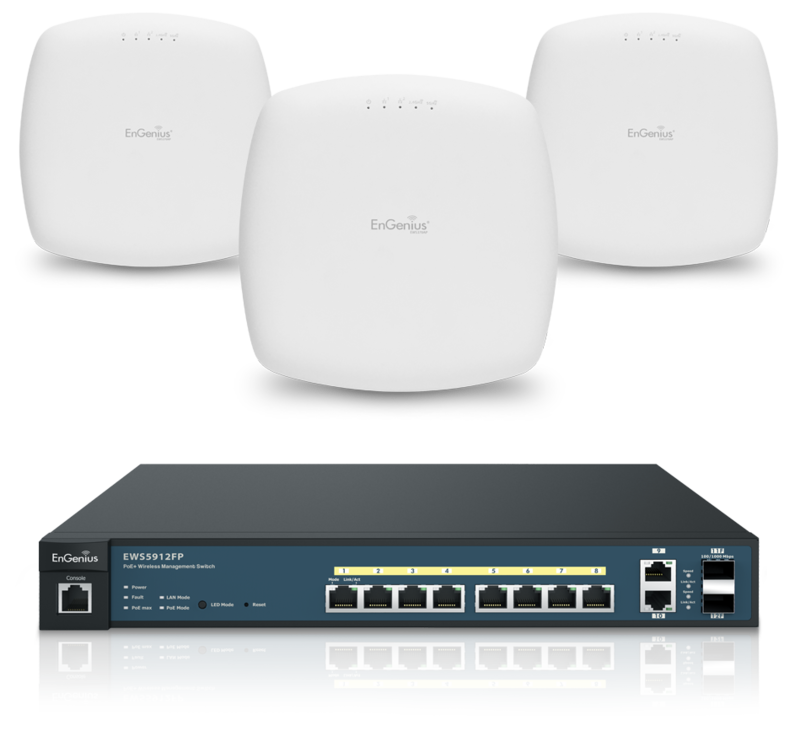 Ft.
PROAVMGT2500 Managed Wireless Solution supports multiple devices and high bandwidth applications with dual-band 11ac Wave 2 speeds to 2.5 Gbps. This scalable solution leverages ezMaster™ Network Management Software and Neutron’s price-performance value—with no AP licensing or subscription fees. Configuration Guideline allows for quick plan & roll out.